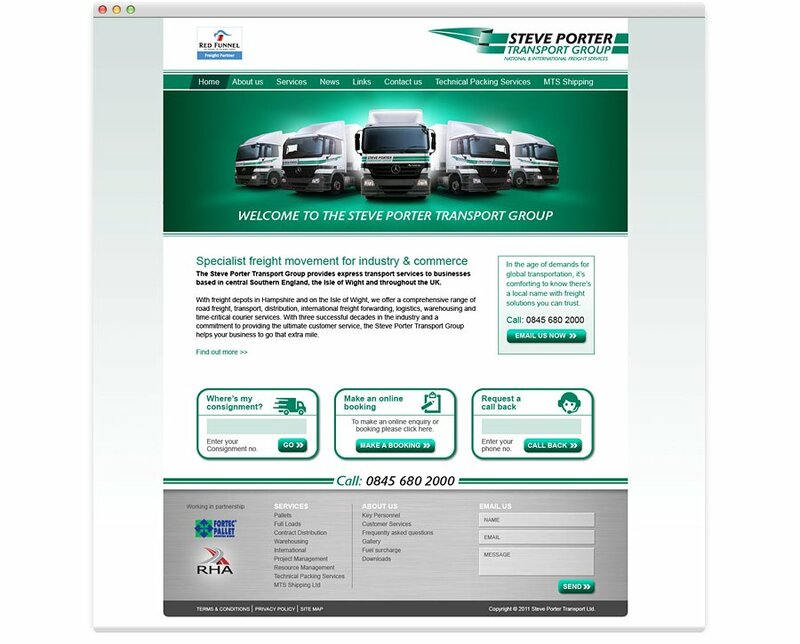 The Steve Porter Transport Group provides express transport services to businesses in central Southern England, the Isle of Wight, the Channel Islands and throughout the UK. As part of their re-branding we also designed their website. 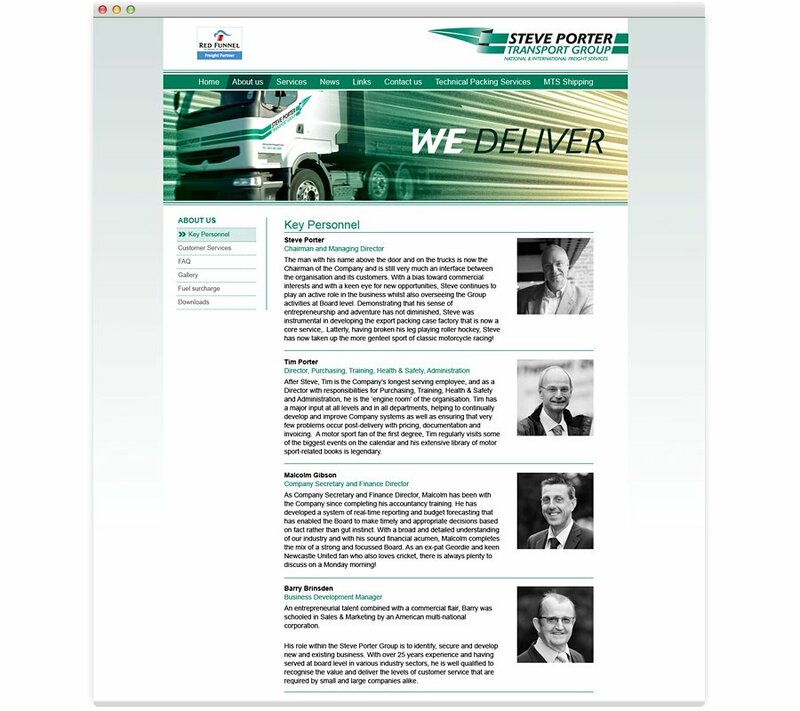 The green lines have been a strong element of the Steve Porter Transport Group since the 70′s when they first started and they were very keen to maintain these within the re-brand. The site is built with a Content Managed System to allow them to easily make any updates. It also required an online booking system to allow customers to arrange pick up or delivery, or to check on the status of their consignment.